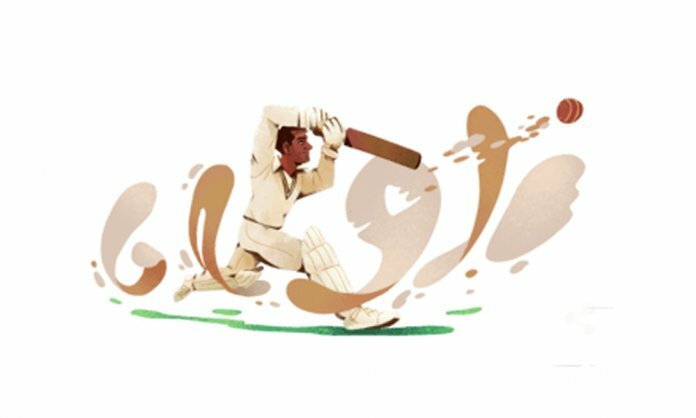 Google Doodle has paid tribute to Pakistan‘s first ever test captain, Abdul Hafeez Kardar on account of his 94th birth anniversary. Commemorating the legacy of one of the finest cricketers, Google has changed its logo to an image of a batsman playing a shot to remind us of Abdul Hafeez Kardar- a man who is regarded as the father figure of Pakistani cricket. Kardar was born on 17th January 1925 in Lahore and is one of the only 3 cricketers who played Test cricket for both, India and Pakistan. He was the captain of Pakistan in the first Test match in 1952 and has led the national team in 23 test matches. He played 26 Test and 174 First-class matches in total. He was the skipper during the time when Pakistan won the historic match against England at The Oval in 1954. The first ever test captain of Pakistan was awarded the Pride of Performance award by the government of Pakistan in 1958 for his services to the country. Afterward, Abdul Hafeez Kardar served as the chairman of selectors and president of Pakistan’s Board of Control from 1972 to 1977. On 21st April 1996, the legendary cricketer passed away at the age of 71.